Let's get this out of the way first. You know me, do I ever highlight technical things? Nah. Never. So let's get this out and move on because I want to get to the good stuff. My only technical issue is that this book occasionally shifted perspectives and it could be a little bit jarring. That's it. That is my only issue. Moving on. Snickering, shrieking, supernatural abilities and bumbled confusions, hilarity...this is The Rook by Daniel O'Malley. I admit, I had no idea what to expect from this book (I sometimes don't read the jacket, I just read the first few pages) and initially walked into this taking it extremely seriously. I mean, the cover made me think that this was a very thriller-esque book and I needed to pay attention, possibly take notes because it would be confusing. Instead, what I subsequently realized was that this book is a lot of fun, serious in some ways and delightfully funny in most, and actually made me think that this is what the Ministry of Magic in Harry Potter's world would be like if told from a very important, regularly frightened, but well-meaning adult working in the government of magic. Once I accepted that, this book ended up being so. much. FUN. Myfanwy (sounds like Tiffany) Thomas has opened her eyes and has no idea who she is. While a plethora of letters await her, (written by herself to herself when she was told by random psychics that she was going to lose her memory), she learns that she works at the Checquy (pronounced Shek-eh), a secret organization that has been around for hundreds of years, and whose sole objective is to protect the British Isles by fighting supernatural forces. Oh, and one other thing she's learning about herself is that she's got a seriously deadly ability to connect into others' nervous systems and control them. She could make you turn that gun around (the one that you decided to threaten her with) and shoot yourself in the face. Or perhaps she'd instead make you put the gun down and claw your insides out of your body through your mouth. Yes, she could make you do that. Which is probably a good thing, considering she just learned from her own letters that someone within the organization has betrayed her and will try to kill her. It is an exceptionally good thing she's got this supernatural ability. In the days before she lost her memory, she was a meek little church mouse who rose to the rank of Rook within the Checquy because she was a brilliant administrator, but she was absolutely not someone who could do battle. Now she realizes she's a lot tougher than she's ever given herself credit for. No one else gives her that credit either, so this newly found confidence becomes the perfect defense. Who would ever think this little mouse would bite back? All right, I also admit there is a sad side to this whole extraordinary ridiculous story. Myfanwy's letters to herself before her memory loss truly ache at the knowledge that someone within the team she's worked with her whole life will betray her, effectively killing her by destroying her memory and personality. While the letters are extremely helpful and informative, there are moments in which they clearly reflect her denial to believe she will no longer be who she is at that exact moment when she was writing the letters to her future self. It's a quandary to be in, and had this story not been so fun, I might have felt really, really bad for her. But then the next section begins with some insane-tentacles spilling out of a blob that is consuming a police station and people are breaking walls by resting their hand lightly on it, and it all becomes insanely and boisterously pleasant and lively yet again. Good gracious, this was an absolutely FUN reading experience! I soon found myself hooked right into this absurdly bizarre and hilariously fun journey for confused Myfanwy. I'd say she boggles and flubs along, but not really. She uncovers a new side of herself and that was the best part of it all. Daniel O'Malley's story was fantastic and I cannot wait for the next installment! FTC Disclosure: I received this book from the publisher via NetGalley. 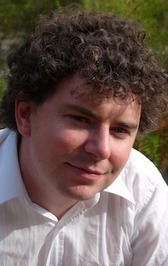 This is my first selection for the Once Upon a Time Challenge hosted by Carl. Reviews for all challenge participants can be found here. This sounds wild and fun and a great one to add to my list. I had a lot of fun with this book; enjoy! This sounds fantastic! You'd think they could come up with a better cover than that for it. I know, right? The cover is just blah; the new one is the same but is bright red. Meh. Oh, I am so glad to hear that you loved this one, because I just got it on audio after reading Nicole's wonderful review of it. I have to admit that my curiosity is more than a little piqued when it comes to all the interesting and action packed events in this book, and I can't wait to get the chance to read it. Great review today, Natalie! I will have to let you know what I think of it when I am done! The Guilded Earlobe loved this on audio; I've heard it's fantastic! I listened to a quick sample on Audible.com and I really think you're going to enjoy it. I't s a lot of fun, can't wait to see what you think of it! Oh great, just what I needed, another book to add to my list which begins to resemble the Dead Sea Scrolls. This sound wonderful, Jenn. Thanks for the tip. I've been so busy lately reading vintage that I've tended to overlook the new stuff. This sounds a bit like JONATHAN STRANGE AND MR. NORRELL, but only in that England and departments of magic are involved. It also sounds like something China Mieville might have written too. I've been meaning to read Jonathan Strange and Mr. Norrell, I've heard so much about it and every time I see it at the store or library, I come *thisclose* to picking it up. I need to stop delaying and pick it up. China Mieville is on my list this year; I'm considering either Embassytown or The City and The City. I like that this sounds fun! Totally off subject but when you said you hardly ever read jackets but read the first few pages... its like I had an awakening. Why dont I do that? I keep complaining about books that the synopsis does not match the book, or how hard it was to get into... if I read the first few pages I would have a better feel for the book. Anyhoo.... rambling.... have an awesome day! Happy Easter! 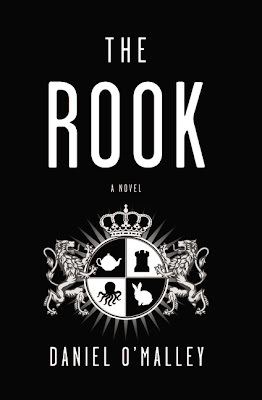 I cannot get through JONATHAN STRANGE AND MR. NORRELL, no matter how I try (just too too dry for me), but I loved The Rook. This sounds really good. And I do love books that include letters (or full-out epistolary tales), although it sounds like her letters to herself are only a part of the prose here. I'm intrigued! Thanks for the link up Natalie, I really enjoyed this debut. I'm hoping his second book will be highly anticipated.